A collection of Fantasy & Fairy stories. 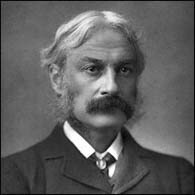 Andrew Lang (March 31, 1844, Selkirk – July 20, 1912, Banchory, Kincardineshire) was a very prolific Scottish man of letters and classical scholar - a poet, novelist, historian, and literary critic. He has also contributed to the subjects of folklore, anthropology and psychic research. He now is best known as the collector of folk and fairy tales and it is for this this reason I have added his books to this site. Lang's Fairy Book Series consists of fairy tales collected from a variety of countries and includes those listed below. Full illustrated versions of these books* are available on this site, and you can access them from the links below. * Unfortunately I have not been able to find an illustrated version of the Crimson Fairy book so for the sake of completeness I have included a text only version. I have also be including some of his not so famous works that also contain fairytales.